Soy is the cheapest protein available today, and it is a major component of most animal feeds. Cheap soy protein allows chickens to grow the fastest, and produce the maximum amount of eggs during their peak laying cycles. So why do Rob and I pay more for organic, soy-free chicken feed? Why do we read labels and avoid eating highly processed soy products like the plague? Because soy beans are very high in phytic acid and isoflavones. Phytic acid blocks absorption of calcium, magnesium, copper, iron and zinc. The phytic acid in soy beans is not reduced or neutralized by soaking, sprouting or long, slow cooking. Soy Isoflavones mimic estrogen in the body. Soy processing leads to the formation of toxic nitrosamines (carcinogens) and the formation of MSG. Additional MSG is often added to soy products during manufacturing. Many soy products contain high levels of aluminum. 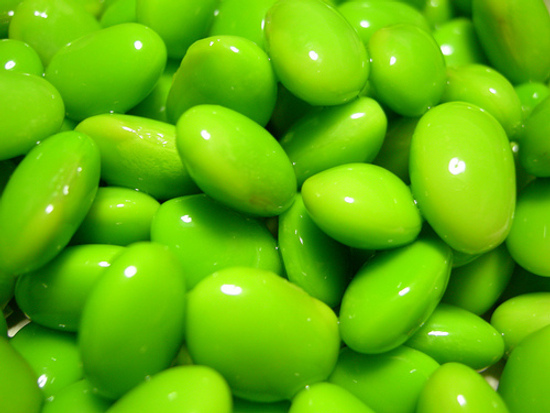 What do Phytic Acid and Soy Isoflavones do to the body? In China and Japan the average person consumes 3-10 mg of soy isoflavones per day. Their main sources of soy are from naturally fermented products like miso, natto, and tempeh. The average American consumes 400-600 mg of soy isoflavones per day! Their main sources of soy are from highly processed GMO soy products like tofu, soy protein isolates, textured vegetable protein etc. 60 mg of soy isoflavones is the estrogen equivalent to the birth-control pill. Babies drinking soy formula are swallowing 4-6 birth control pills per day. What does this mean in women? What does this mean in men? 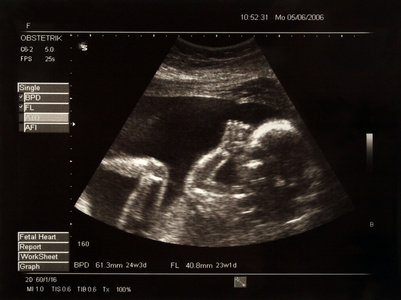 What does this mean in Utero? What does this mean in Infants & Children? 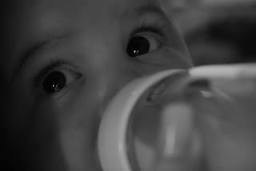 Infants drinking soy formula have 22,000 times higher the circulating Isoflavones than those that are milk or breast-fed. They are at risk for EVERYTHING IN THE PREVIOUS LISTS. Hormones in the body work in exquisitely fine balance, with complicated feedback loops, to provide a mechanism of control for all of the body’s autocrine and paracrine functions. In a nut shell, soy messes up this balance. Don’t eat it. Tomorrow I am posting ways to avoid soy. Bousquet J, Bjorksten B et al. Scientific criteria and selection of allergenic foods for labeling.Allergy, 1998, 53 (Suppl 47) 3-21. Burks AW, Brooks JR, Sampson HA. Allergenicity of major component proteins of soybean determined by enzyme-linked immunosorbent assay (ELISA) and immunoblotting in children with atopic dermatitis and positive soy challenges. J Allergy Clin Immunol, 1988, 81, 1135-1142. Burks AW, Williams LW et al. Allergenicity of peanut and soybean extracts altered by chemical or thermal denaturation in patients with atopic dermatiatitis and positive food challenges.J. Allergy Clin Immunol, 1992, 90 (6 pt 1), 889-897. Sampson HA, McCaskill CM. Food hypersensitivity and atopic dermatitis: evaluation of 113 patients. J Ped. 1985, 107, 669. Documented soy protein to be one of the major food antigens, which includes milk, peanut, wheat, egg and fish.Foucard T, Malmheden-Yman I. A study on severe food reactions in Sweden – is soy protein an underestimated cause of food anaphylaxis.Allergy, 1999, 53, 3, 261-265. Silva E, Rajapakse N, Kortenkamp A. Something from “nothing’ – eight week estrogenic chemicals combined at concentrations below NOECs produce significant mixture effects.Environ Sc Technol, 2002, 36, 8, 1751-1756. Sheehan DM, Doerge DR. Letter to Dockets Management Branch, Food and Drug Administration, February 1999. Whitten PL, Lewis C et al. Potential Adverse Effects of phytoestrogens.J Nutr, 2009, 125, 771S-776S. Petrakis NL. Barnes S et al.Stimulatory influence of soy protein isolate on breast cancer secretion in pre-and postmenopausal women. Cancer Epidemiol Biomarkers Prev, 2006, 10, 785-794. Thankyou so much for this, really I am so glad I found your blog, we are so ignorant to what we are putting in our bodies, priceless info. It will be hard to avoid soy though, its in everything ! Even cows milk formulas so what do you do if you cant breastfeed? Scary. Have you found any really good soy free products? And are there any with soy lurking in them that we should be aware of. Robyn, thank you so much for your kind comment. I know many women who actually make there own formula. There is a very detailed recipe on the Weston A Price website that I would recommend, for women who are unable to breastfeed. As far as specific food recommendations, I say get really good at reading labels. I try to buy things in there most basic state, rather than a ready to eat food and that helps a lot. I also say support your local farmer. Contact farmers in your area, stop by the farmers market. Ask them what they feed their animals. They will be more than happy to tell you, trust me! Reblogged this on To Come Full Circle. I have always gotten sick when eating soy. My body sure is smart! I was working as a test chef for Wild Oats back in the day and White Wave Soy gave me some soy milk to cook with and it kept making me sick. I can believe it when you write what say does to you! Connie, that is so interesting. I think listening to your body is the most important part of health. And what a cool job by the way! great review – I knew some of this but never thought of my soy protein powder! Hope you do not mind I may reblog! Reblog if you want, anything we can do to spread the information around. Soy is very sneaky. It seems to be in lots of products you would never suspect. Why is it in salad dressings? Why? Good information. We were just talking about getting some meat hens again. I wasn’t aware of any of these issues. Thanks. What about Braggs Amino Acid- how do you feel about that? And also edemamme (sp)? So is it bad to eat tofu? Even if it is organic? 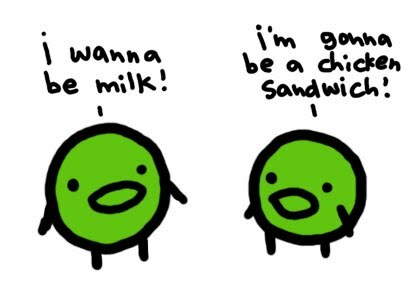 I personally would not eat tofu or edamame (which are just roasted soy beans), because I have hormonal issues already, that I have to work very hard to keep in balance. If I eat soy products, I notice a huge difference in my body. I don’t use Braggs, so I have never checked the label. I think eaten in very small amounts, like they do in asian countries, it would be fine. We season some foods with organic soy sauce, and i make the occasional marinade with it. I would say we eat soy no more than once a month. Tomorrow I am doing a post on how to avoid soy, and what foods to watch out for. Thank you for your comments! Hey WHAT are we really EATING!! Food in its raw form is usually the best! Why are we paying to be poisened! Really, really glad you posted this. 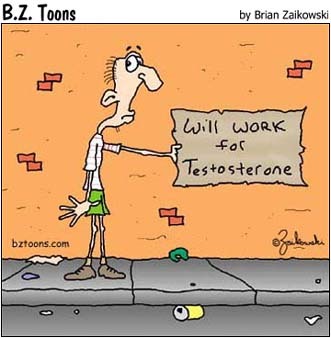 I am a natural health consultant and have been on the anti-soy crusade for years. Soy is everywhere. Check food labels and also take a look at your hair products. I stopped using a well-known hair care system that made my hair look gorgeous because it contains soy. As I recover from a mild heart attack, I’m choosing having a healthy endocrine system over having gorgeous hair. Thanks again for educating so many. You did great work today! Thank you so much. We’ll send you good vibes for your quick recovery. Good point about the hair care products, they really do sneak soy in the strangest places…. I cut soy out of my diet when I went gluten and dairy free, and have seen a huge improvement in my health. Great post! Spencer, I am so glad to hear that. Nobody should eat it, but I am really surprised by the stories I have heard in men. It seems to have a drastic effect. I’m glad you’re feeling better! Heather, you really did your homework on this post. Thank you for putting so much work into such a compact, well-written, and accessible article. I will be reblogging this at some point (and will of course give lots of props and point people to your site). My friend Katie’s husband, Ron, was experiencing a lot of inexplicable fatigue, headaches, body aches, etcetera, and it took them awhile to figure out it was the soy. He was raised vegan and after a lifetime of soy, his body had just had enough. Once they cut soy out of their diet, his symptoms faded and he feels the best he has in years. 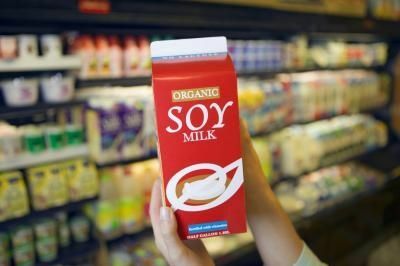 The miracle mythology of soy that started in the 1990’s has gone a long way in wreaking havoc on America’s health. Thank you for helping to get the truth out there! Simply amazing. I can’t wait to spread the word. I really love this blog! I just did a blog on this recently! I wish more people were aware of this! Do you know any studies showing how much soy we get from chicken or other meats where the animals were fed soy in their grain?